Travelling with babies and toddlers is such a joy but also a bit tricky! Several of my travel posts had queries of mom with young babies asking what I used to feed Kenisha during our travels, especially international where food could be different and unique sometimes. Its an unsaid to rule to always be equipped with snacks and water when heading out. It’s a MUST in your diaper bags. 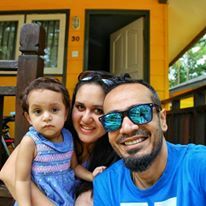 Save yourself from tantrums and upset little humans and read on to see how you can enjoy a vacation by being equipped with simple an easy travel friendly food. Babies up to 1 year old have it the easiest! If you have a baby under 1 and are breastfeeding, you are going to have the easiest time ever! It is so easy to feed on the go, anywhere and anytime. For formula babies its best is to carry Thermos just like you do when you head out. Ensure you carry enough Formula to last until and beyond the trip. It’s also a good idea to research if this brand or variety is available in the country you are travelling too. Fruits: any country will have enough and more fruit options. If you stay at a hotel your breakfast will always have fresh fruit. Breakfast should be a good time to feed the baby well. Pick an extra banana or orange to carry in your bag. Also carry a small plastic box on which you can carry a tiny portion for next 2-3 hours feed. For babies you can mash these fruits. Its not a bad idea to carry a foldable knife and a small spoon along. Yogurt and Cheese: Find 24/7 kind of super marts which will have small sized flavoured yogurts and simple drinks. Avoid sugar loaded chips and drinks. Dry Fruits – This is something we always carry for any travel. A big mix bag for all of us in fact. Nuts help in quick hunger and boost energy levels immediately. Instant Packed foods – while i cannot say if this is super healthy, it sure comes as a life saver in dire situations. We have carried MTR packs for instant upma, poha and few soup packs. This has been a great way to begin lazy days at the room or even outside. All you need a hot water to eat any of these. Airbnb options – We now look for Airbnb optiosnw hich offer us access to kitchen. This means we can store food in the fridge and have a lot more options during our stay. This indeed has been our best experience so far with a baby and I highly recommend this over hotels! But the fun part is always to enjoy and explore new foods! Watch out for allergies and stay safe. Since Kenisha was a BLW baby we always allowed her to try out new things. Nonetheless the above it has been of great help! Did you find his article useful? comment below and let us know your travel food ideas for babies and toddlers 1-3 years old! So glad to hear that Vaibhavi. Have a safe and fun trip! !